The castration of the male horse is a significant operation and fraught with potential complications. 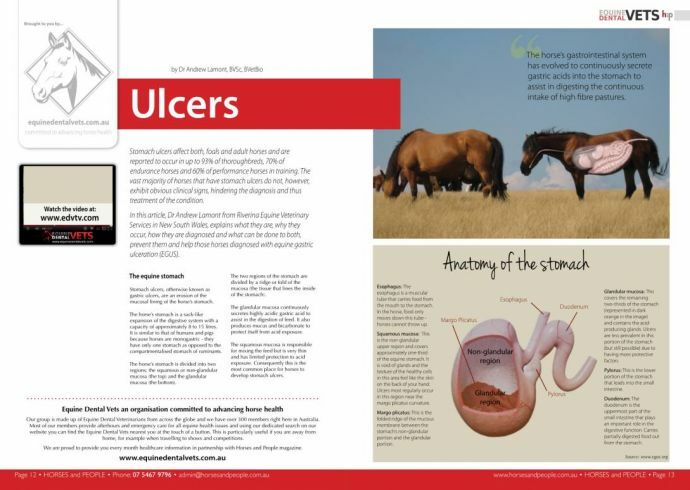 In this article, Dr Euan Laidlaw from Cheviot Vets in the United Kingdom, will explain a bit more about what to expect from the event, which may be more than you are already aware of, how you can prepare and, thus, minimise complications, and how to recognise them if and when they occur. The foot abscess is a common cause of lameness and a circumstance that many horse owners will encounter at some point in time. 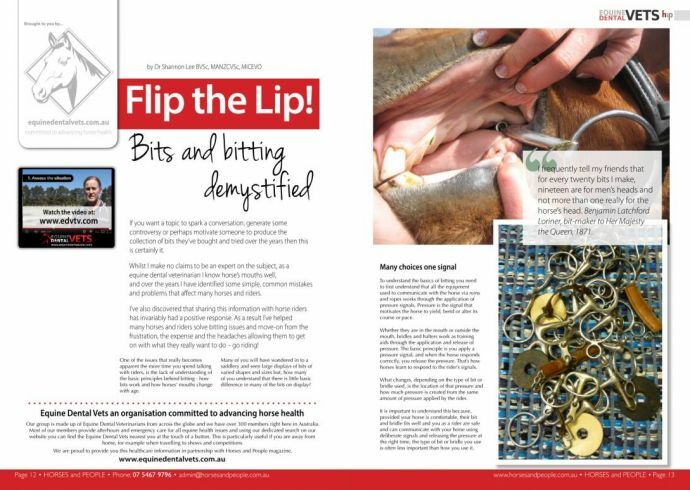 In this article, veterinary podiatrist Dr Luke Wells-Smith describes how they happen, the clinical signs, different types of foot infections and areas that they can affect, as well as detailing the current treatment and management strategies. 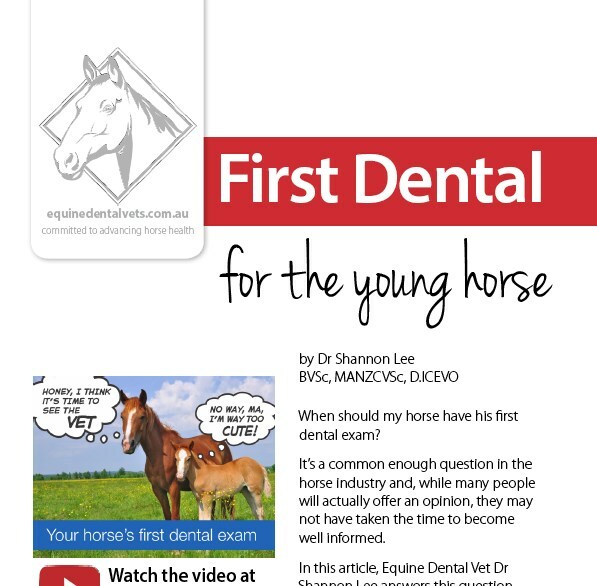 In this article, Equine Dental Vet Dr Shannon Lee answers this question and explains why, when it comes to dental care, you need to monitor, care for and manage your young horses from a very early age. The horse has an extraordinary heart, capable of pumping 30 to 40 litres per minute at rest and up to 250 litres per minute around the body during peak exercise. However, like all things, this magnificent piece of engineering can fail. Heart disease can cause poor performance since it is directly related to the ability of the heart to pump blood loaded with oxygen around the body. If the pumping ability is reduced, then the body does not get enough oxygen and poor performance occurs. From mild forms that may result in poor performance to severe disease, collapse or even death, heart disease is more common than most people realise. 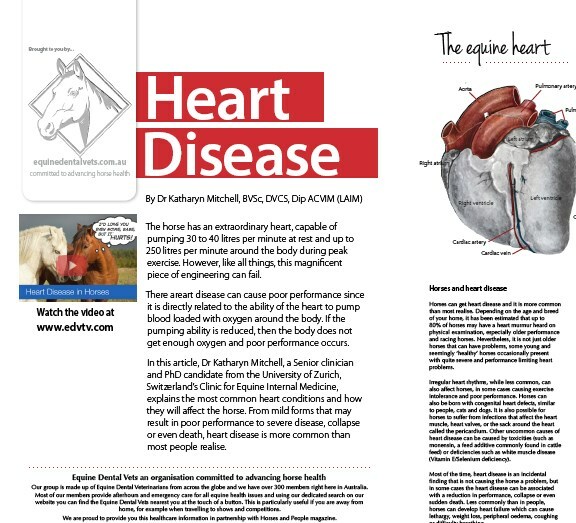 In this article, Dr Katharyn Mitchell, explains the most common heart conditions and how they will affect the horse. 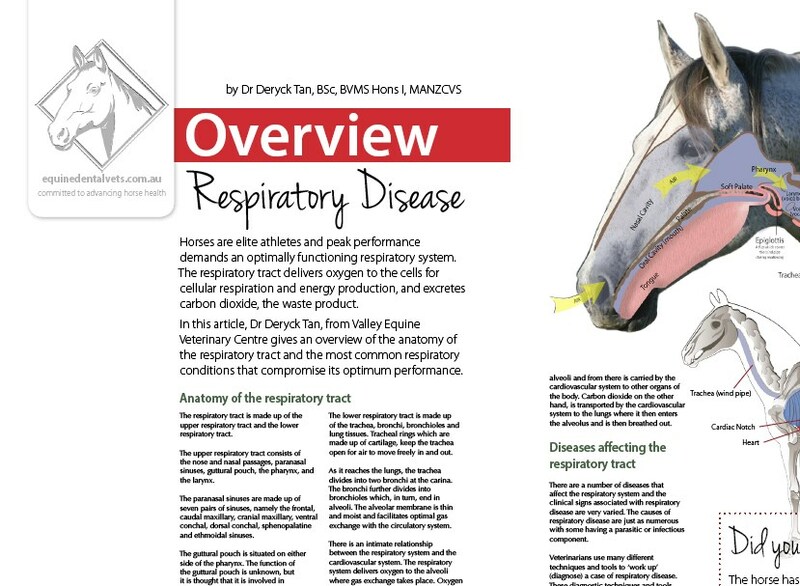 Horses are elite athletes and peak performance demands an optimally functioning respiratory system. The respiratory tract delivers oxygen to the cells for cellular respiration and energy production, and excretes carbon dioxide, the waste product. It is common to suddenly discover your horse has one or more lumps or bumps somewhere on Its body. 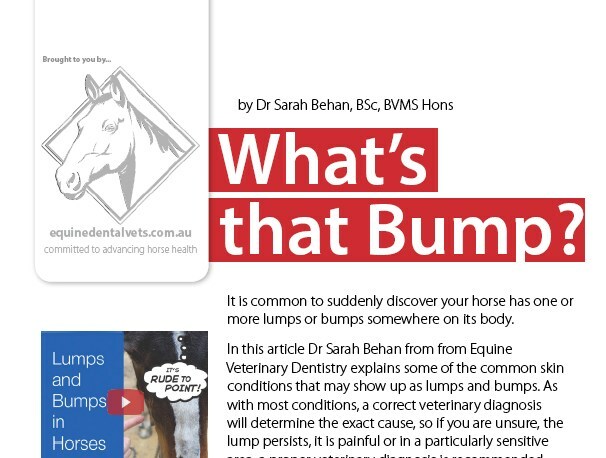 In this article Dr Sarah Behan from from Equine Veterinary Dentistry explains some of the common skin conditions that may show up as lumps and bumps. As with most conditions, a correct veterinary diagnosis will determine the exact cause, so if you are unsure, the lump persists, it is painful or in a particularly sensitive area, a proper veterinary diagnosis is recommended. 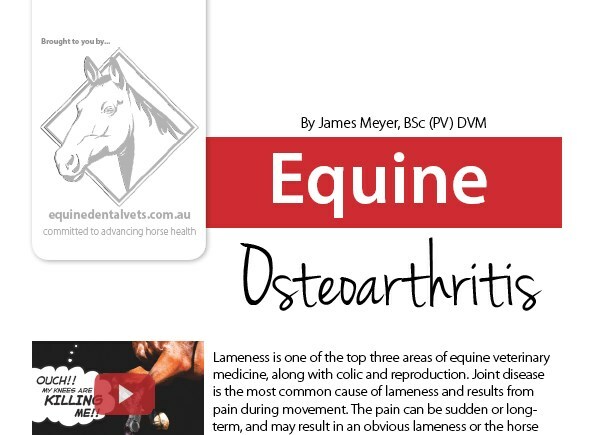 Lameness is one of the top three areas of equine veterinary medicine, along with colic and reproduction. Joint disease is the most common cause of lameness and results from pain during movement. 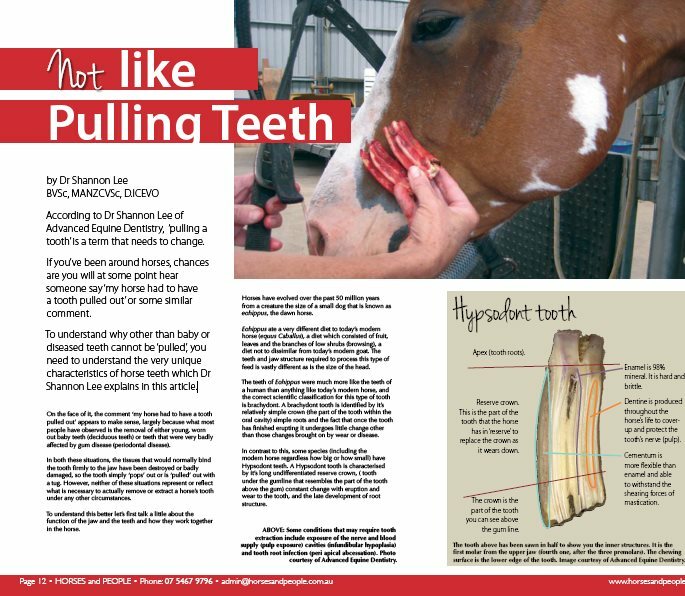 In this article, Dr James Meyer walks us through the causes, disagnoses and treatments for lameness.